carrying out activities aimed at the development of religious self-awareness and enlightenment. 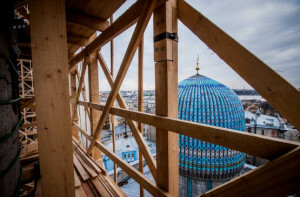 Material assistance for the construction, maintenance, improvement of mosques and educational institutions ensures the development of Muslim communities in Russia, expands opportunities to freely carry out religious and educational activities. 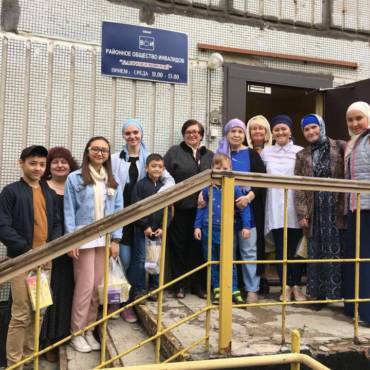 Support for ongoing activities aimed at developing religious identity and education helps Muslims deepen religious knowledge, improve the culture of communication and leisure, fosters the formation of a well-rounded and well-developed personality respectful of representatives of other nations and religions that creates for the prosperity of our country and strengthen the foundations of society. O Allah, help us to be grateful to You! O All-seeing, remove us from our sins! O Lord, bless us to do good deeds! O Empowering, feed and bestow upon the needy Your help and protection! O Almighty, through Kurban make us closer to You! "The blessing of those who spend their riches in the way of God, like the seed from which the seven ears grow, on each of them - for one hundred seeds. The Most High doubles whoever he wants. The Lord is Comprehensive and Omniscient."